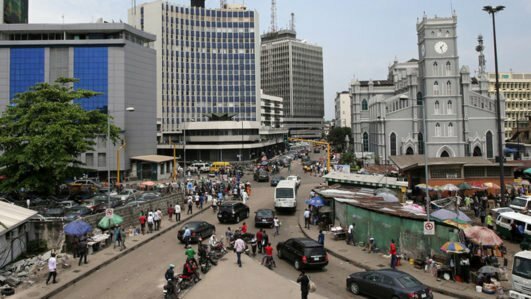 The crème de la crème of the nation’s capital market will gather in Lagos on Saturday, September 29, 2018, at the Civic Centre, Ozumba Mbadiwe Street, Victoria Island, Lagos, for the maiden awards ceremony to recognize and reward excellence among companies quoted on the Nigerian Stock Exchange (NSE). The award ceremony organized by Capital Market Correspondents Association of Nigeria (CAMCAN), is to reward: profitability, resilience, efficiency of company managements, stocks with the best value offerings (Price/Book ratio), Return On Investment and shareholder-friendliness, among others. For the banking sector, there are additional categories such as the best in risk management, measured by ratio of Non-Performing to total Loans (NPL) and Asset Base. The awards, according to a statement by the association were based on‎ verifiable data derived from audited financial reports of quoted companies for the year ended December 31, 2017 and March 31, 2018. The data was collated with the support of analysts at Investdata Consulting Limited. “Although the Nigerian economy was in recession for major parts of the period under review, majority of the quoted companies distinguished themselves, hence the need to celebrate them,” the statement added. The awards, according to CAMCAN, will be an annual event in her calendar, as a way of encouraging companies to performance optimally in the interest of their investors, whether wholesale, or retail. The companies, he continued were considered across sectors like: Banking, Insurance, Oil/Gas, Consumer Goods and Industrial Goods; after which the best from each sector in the various categories were recognized separately as best for the entire market in that particular category. Omordion added that the award threw up many surprises, just as there were stiff competition among stocks in the various sectors, as shown in the fact that in the overall best category for the market, no company emerged winner in more than one category. This shows how keenly contested the awards are. Also billed for recognition are institutions like The Nigerian Stock Exchange (NSE); FMDQ Securities Exchange; as well as past chief executives of the Securities & Exchange Commission (SEC); and NSE. The United Bank for Africa Plc was also singled out to celebrate the vision of its management for successfully hoisting its flag in 20 countries across the continent, thereby diversifying its revenue base and profit. Also billed to be specially recognised for cntributing immensely to market development is Alhaji Aliko Dangote GCON, whose holding company- Dangote Industries Limited, is the majority shareholder in four companies quoted on the NSE. They are: Dangote Cement, Dangote Sugar Refinery, NASCON Allied and Dangote Flour Mills. Mr. Tony O. Elumelu OFR, is also being recognize for his contribution to the development of the Nigerian capital market, as his Heirs Holdings Group owns significant stake in UBA Plc and Transnational Corporation of Nigeria (Transcorp) of which he is chairman; as well as Transcorp Hotels, United Capital and African Prudential. The Acting Director-General of SEC, Ms. Mary Uduk, is expected as the guest of honour, to be supported by heads of trade groups in the market.